I had a really super Sunday in San Francisco today. I started the morning with climbing at Mission Cliffs with Rebecca. I'm definitely at or close to my peak abilities despite my three-month hiatus, so that's good. It was a fun session and I got to climb a fun and challenging 5.11a route with a big overhang. 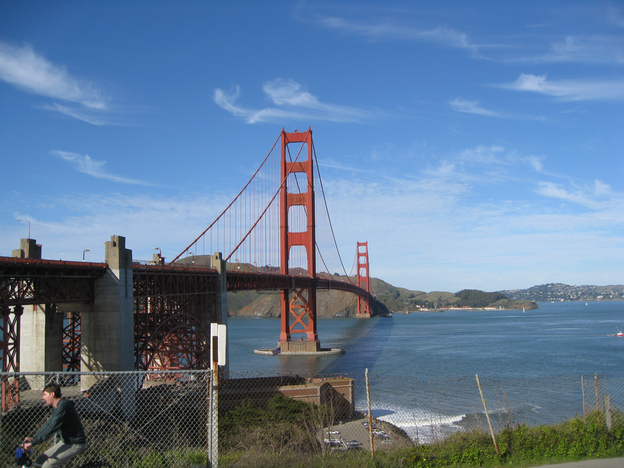 After climbing I made plans to meet my cousin Ed and bike over the Golden Gate bridge down into Sausalito. I went to my first airbnb room, packed all my stuff up and headed out. However, I had both a fairly heavy backpack with my computer gear and a full roll-aboard suitcase. So I ended up carrying the rollaboard with the handles over my shoulders like backpack straps and clipping the computer backpack to that with my climbing carabiner. With that arrangement I was able to ride my loaner bike to airbnb apartment number 2. More on that later. Anyway, I then rode a route called "The Wiggle" from The Mission into The Haight and met up with Ed. We stopped briefly at Lindy in the Park and then made the ride over the bridge. The weather was gorgeous - sunny and warm. In Sausalito we had a bite to eat and wondered around a bit, and then took the ferry back to San Francisco. It was a really nice afternoon ride. Now, about this second airbnb room. 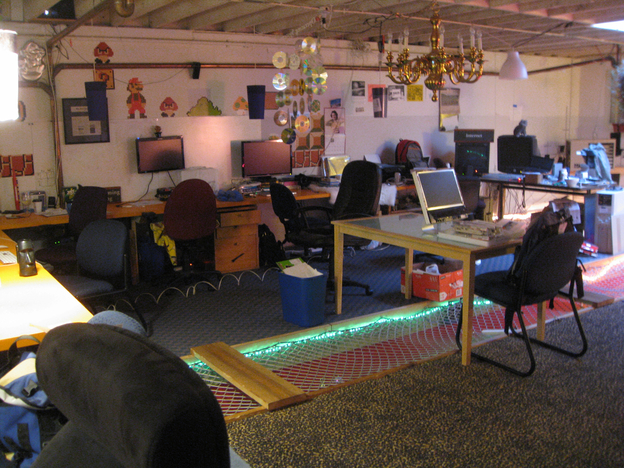 It's in a big hacker live/work space called the Warehouse near 15th and Shotwell. I think about 12 folks live there but there are a lot of visitors as well. The place is heavily customized. They've got holes cut in the second floor and hung nets inside them where you can sit and hang out as if it were a hammock. They have a big theater room, a beer keg, pinball, a swinging couch, a tiki bar, and lots of crazy decor. It's a pretty cool place to visit if you're a hacker, but I sure hope some random airbnb customer doesn't book it thinking it's just a normal room. It's definitely not. Anyway, it's weird and great. 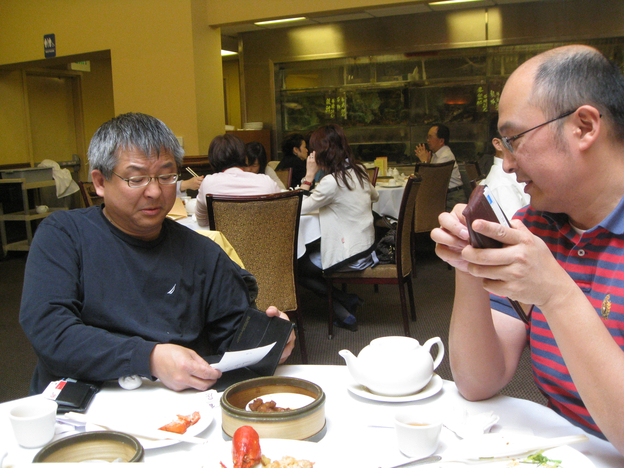 Monday I went out to dim sum for lunch with my two main US-based QA engineers, Bill and Tony. They are both originally from Taiwan. I tried two completely new foods: chicken feet and jellyfish. We also ate the usual assortment of dumplings (shrimp dumplings are my favorite), and the main dish was lobster with noodles. It was really fun, and it turns out they both carry enormous Costanza wallets. The rest of the photos from the trip are here .